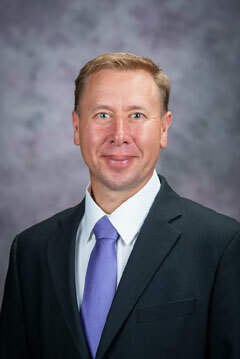 Nathan Nelson, K-State professor of soil fertility and nutrient management, has been named the recipient of the Soil Science Education and Extension Award by the Soil Science Society of America. The award recognizes soil scientists who make outstanding educational contributions through activities such as resident, extension or industrial education. Nelson will be formally presented with the award at the society's annual meeting in January 2019 in San Diego, California. Nelson teaches courses in soil fertility, fertilizer chemistry, nutrient cycling and international studies. His teaching focuses on increasing student engagement in learning through case studies, podcasts and hands-on experiences. Nelson's research develops best management practices that minimize nutrient loss and maximize nutrient use efficiency, with particular focus on phosphorus. Nelson has authored 27 peer-reviewed journal articles, two book chapters, and numerous extension publications, abstracts and proceedings. He is an active member of Soil Science Society of America's Division of Soil Fertility and Plant Nutrition and the SERA-17 Organization to Minimize Phosphorus Loss. He has served as an associate editor for Soil Science Society of America journals and has provided leadership for the American Society of Agronomy's Environmental Quality Section. He received his bachelor's degree from Kansas State University and master's and doctoral degrees from North Carolina State University.